Now I took a while to convert to lifting shoes. 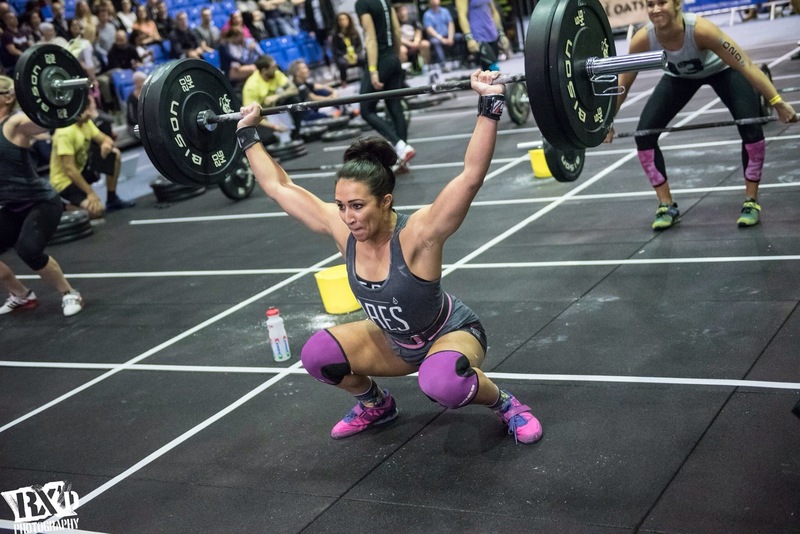 Luckily for me I have good mobility and range of movement and so before lifters I used to squat bare foot and just wore Nanos to lift. I thought lifters were just another crossfit fad but now I’m definitely a concert. Ok so putting on lifting shoes doesn’t guarantee an added 5kg to each lift (that would be nice) but they do provide a stable base. 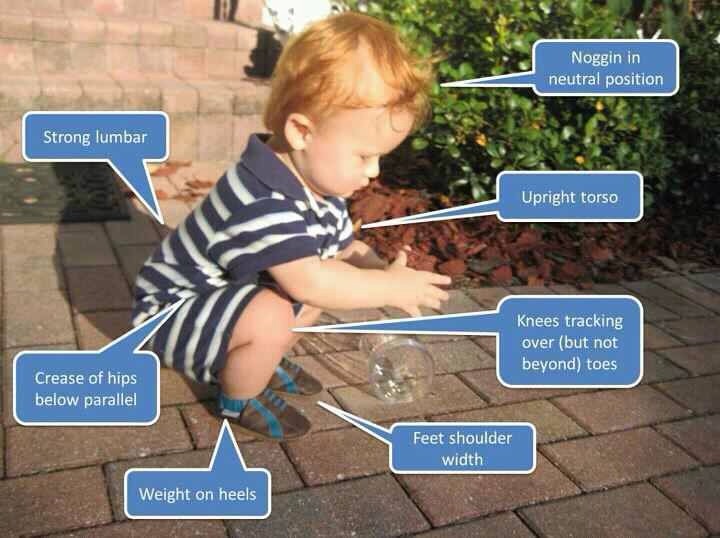 In addition they also give that slightly raised heel which for people who find squatting tricky can really help. 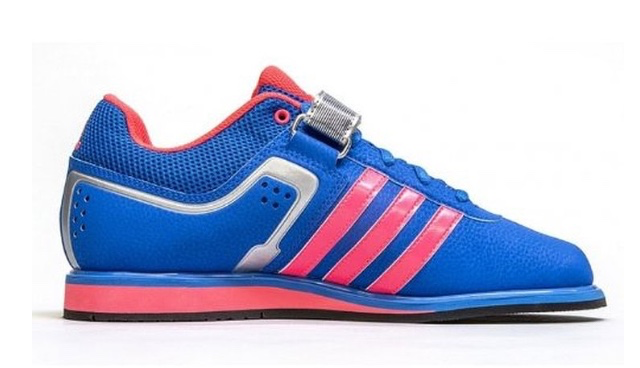 I bought some Adidas lifters as I’d heard good things and as I was trying them, these were relatively cheap. I got the power lifter 2.0 and at £70 these were cheap! Like any new shoe, they took a while to get used to. 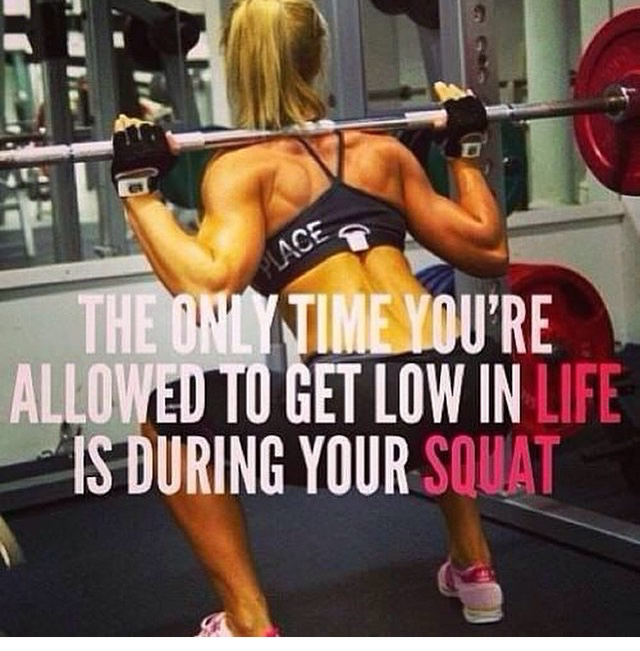 I felt like I was leaning forwards and had to get used to sitting back on my heels but I felt more solid and as such had added confidence when lifting. 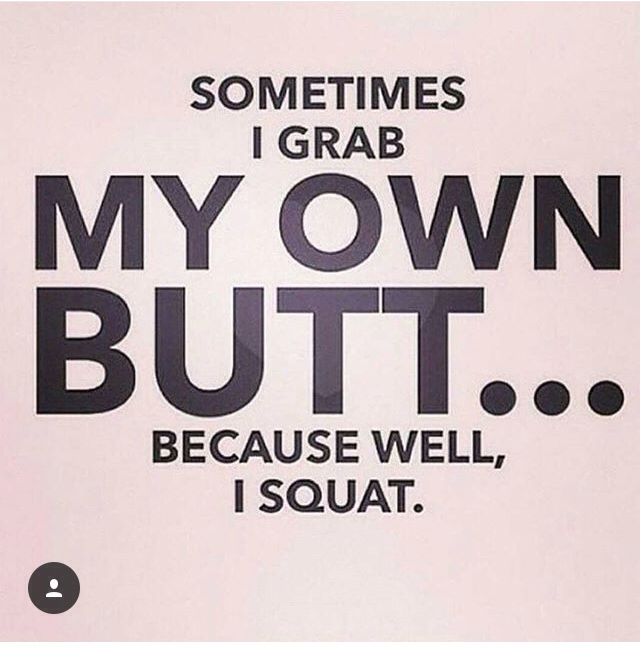 Both in my powerlifts and in my olympic lifts. 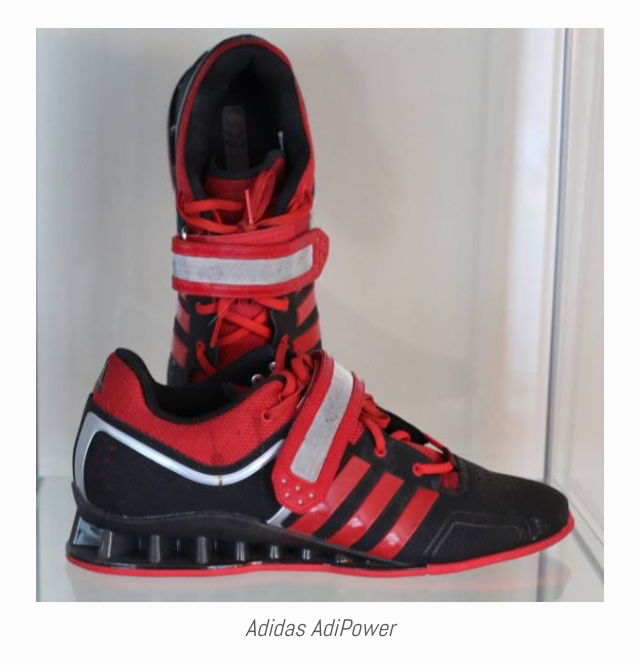 Adidas also have the slightly more expensive Adi Power shoe at £147.99 which has a higher heel so is more suitable for those with a smaller range of movement naturally. 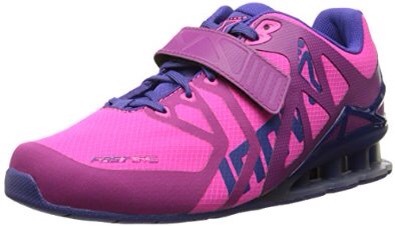 I chose the Inov8 fast lift 335 which retail for £97 and of course I went for their pink & purple combo! I was hesitant to try these as once I get used to something I’m reluctant to change but I must say I really like these shoes. They have a thinner sole than the Adidas lifters but feel more solid, the sole is also harder and so provides more stability. They also do a great range of colours and if you want to upgrade to the Inov8 370 BOA these come in all pink! 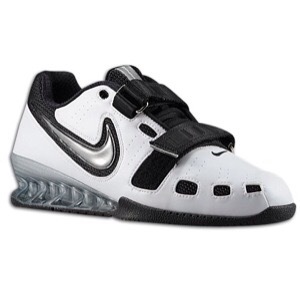 A shoe I have always wanted but haven’t got yet is the Nike Romaleo! These shoes are so beautiful and just look awesome, they’re pricey at £169.99 but I’ve heard brilliant things about them. Having tried a friends to lift in they are so secure, the double strapping doesn’t allow for any slipping of the shoe. 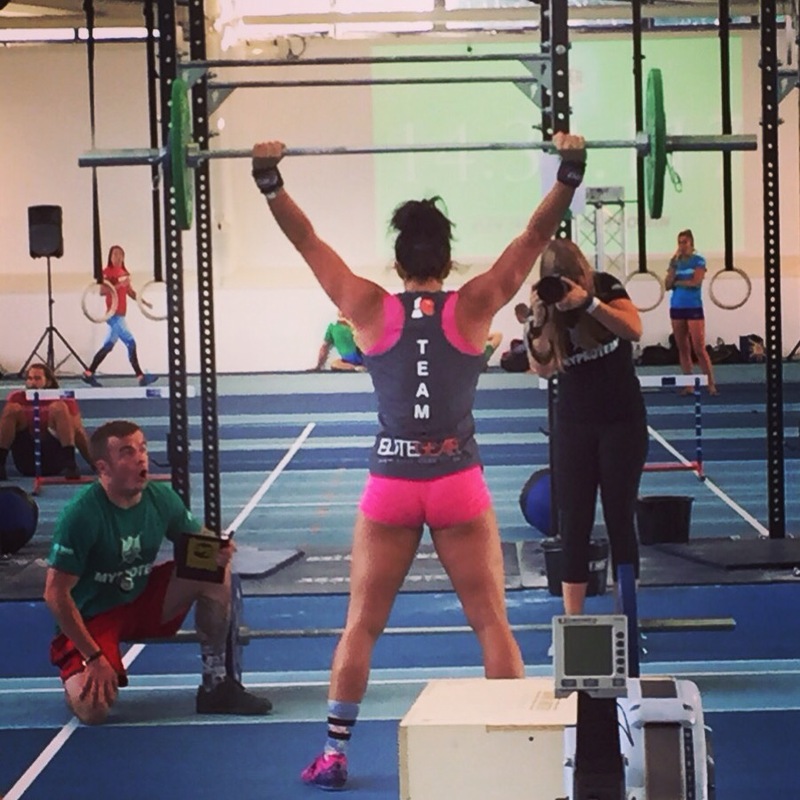 With the Romaleo 2s Nike have made them more flexible and lighter so they are more suited to crossfit athletes. These did feel heavier than my other lifters to wear but we’re sturdy and made my squat feel easier which is what we all want. They also come in a range of great colours! 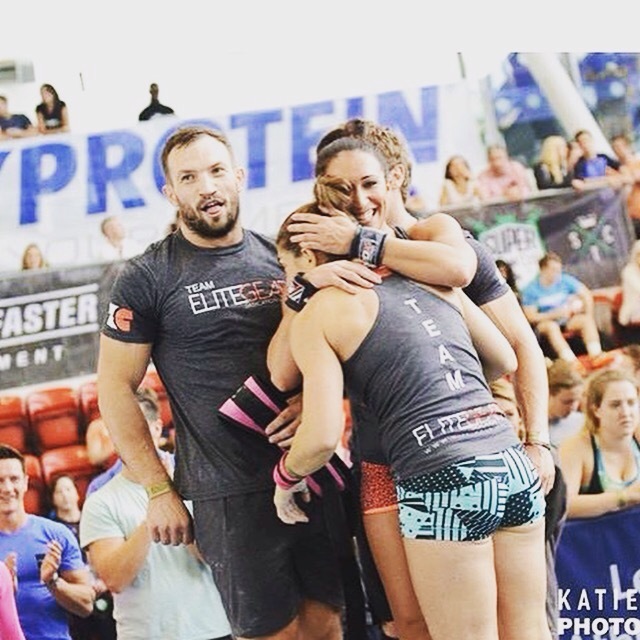 Reebok also have their own lifters, I hadn’t heard great things which is why I didn’t purchase any. However they are cheaper, even so if I was going to recommend any shoe for a beginner who isn’t sure id say go for the Adidas Powerlifter 2.0 to begin with.